Niki, Jayne and Elky visited Värmland in May 2016 and their second stop after a canoe tour on Klarälven was to the cabins in Värmland. After a short Canoe Tour on Klarälven we headed to the location of our Log Cabin Escape and Lakeside Cabin Retreat in Värmland, where we were to stay for the night. Greeted by the local hosts we were shown to Cabin Fyra one of the two Lakeside Cabin Retreat cabins, which would be our cabin for the evening, and had a little free time to have a well-needed shower! 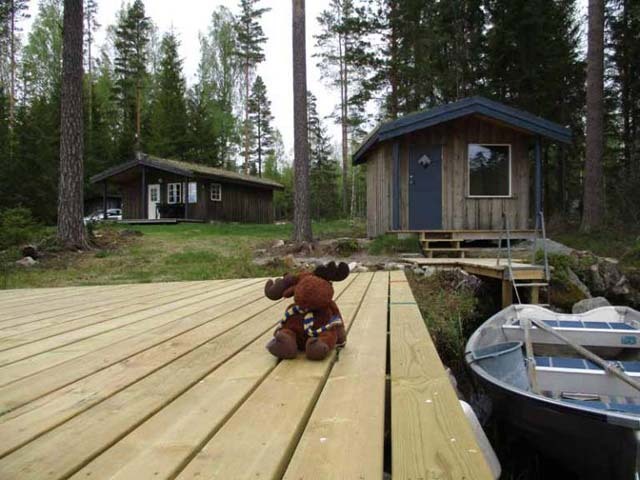 Elky with the sauna and Cabin Fyra behind and the included boat! Photo: Nature Travels. After a lovely dinner cooked by our local host of moose stew, rice and salad, we explored the local area and visited the cabins. 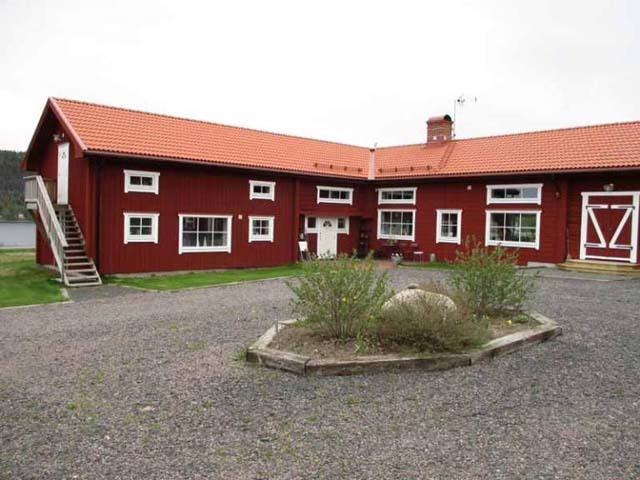 Värmland is situated in west Sweden and is easily reached from Oslo, Gothenburg and Stockholm airports. Full of lush green forest and lakes the area is ideal for anyone who enjoys the outdoor life! There’s also plenty of wildlife and chances of spotting a moose at this time of year are quite high as this is the time that the young ones in the family are old enough to set out on their own – they’re still a little confused so will wander into villages or into your garden. 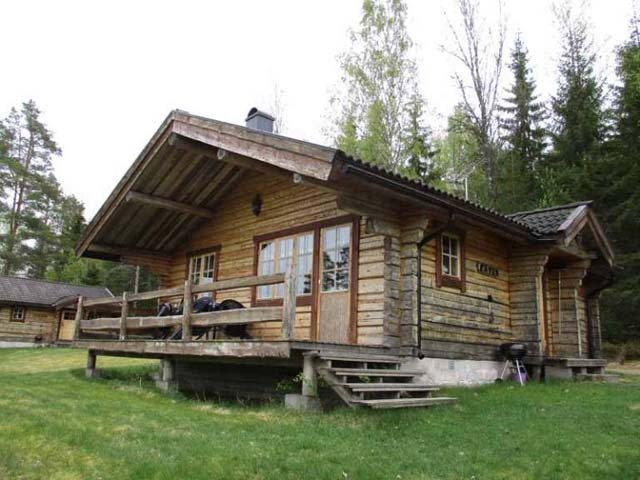 Our first stop was at the cabins that make up the Log Cabin Escape in Värmland. Three log cabins built in a traditionally Swedish style lie on a slight hill with a large green in front, great for a football match with the kid,s and a small lake a little further ahead and forest behind. Inside, the cabins sleep up to 6 persons in 2 x 2-person bedroom and another two in the sleeping loft. One of the three cabins making up the nearby Log Cabin Escape option. Photo: Nature Travels. The Lakeside Cabin Retreat in Värmland consists of two cabins positioned on a large lake, great for fishing, paddling and swimming. There’s even a little island you can paddle to for a spot of lunch or for adventurous kids to spend the night on if you’ve brought your tent! Both cabins sleep 4 persons in 2 bedrooms, one with bunk beds and the other a double/twin. 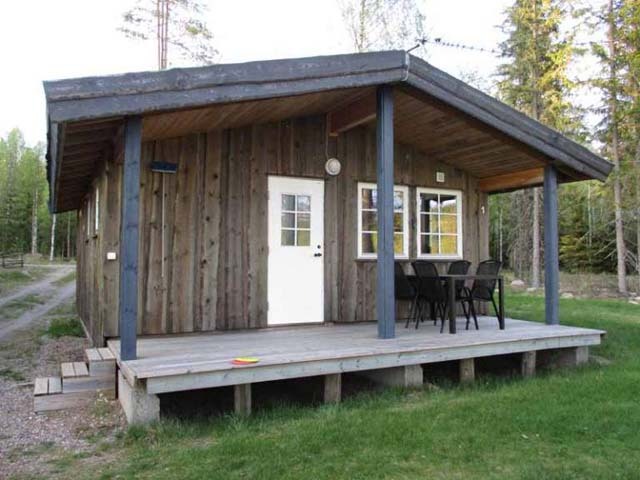 Cabin Fem has the option to add a guest cabin positioned next door, if your group is a little larger, and has a sauna in between the two cabins overlooking the lake. 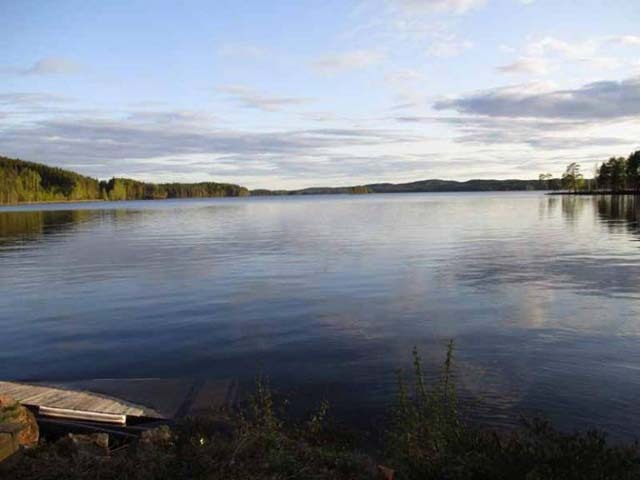 Cabin Ett is situated on its own peninsula with sauna right on the lake for a quick dip and they have recently built a jetty for your rowing boat or canoe to set off from. 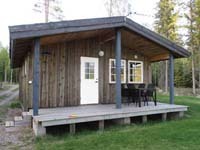 Cabin Fyra, one of the two cabins at the Lakeside Cabin Retreat. Photo: Nature Travels. Whilst we were waiting for the sauna to heat up, we had a game of frisby golf. There is a network of frisby “holes” (or large metal poles that look a little like hatstands with chains) and you start at one point and try to get the frisby to hit the end in as few throws as possible. Armed with our frisbies – mine with a picture of a shark and Jayne’s a snake – we discover it’s harder than it looks to get the frisby to go in the right direction and I manage to hit every tree possible on the way! A beautiful lake is right on the doorstep! Photo: Nature Travels. An early night was needed after our busy day and in the morning we were shown around the larger area which is a forest full of well-marked hiking and biking routes. We visited a new larger cabin that may be added in the future that would be suitable for a big family or group gathering. Originally a barn, the cabin was recently renovated and is now beautifully decorated, with multiple cosy bedrooms and a hot tub. A nearby accommodation option suitable for larger groups. Photo: Nature Travels. Afterwards, we headed back to Cabin Fyra to collect our belongings and depart to visit another potential partner for a kayak and hiking tour on the Norwegian border. A longer stay at Cabin Fyra would have been wonderfu,l but our whistle-stop tour of Värmland had a tight schedule with a lot to explore during our stay, so we left with heavy hearts and fond memories of our lakeside stay. Niki from the Nature Travels team.